Any more information please. See note below. Photo courtesy of V. Hopkinson. 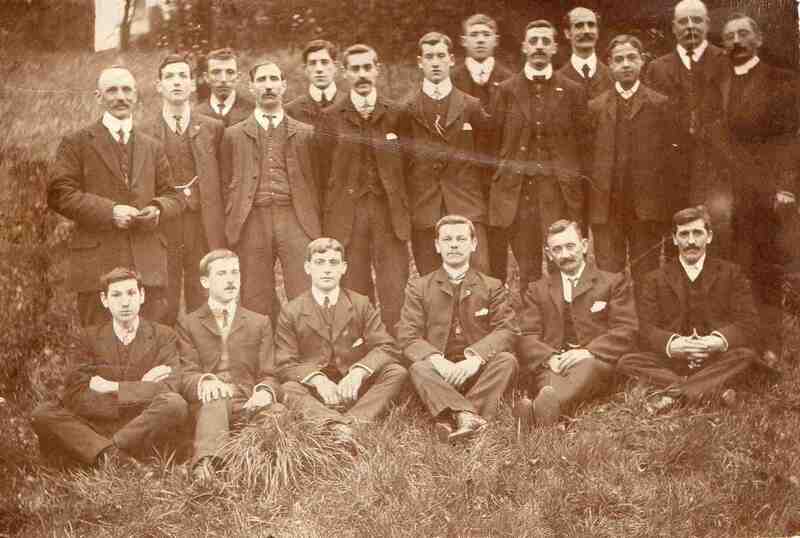 Back row: Mr Boucher, William Mallinder, George Barlow, Jethro Hopkinson, Frank Ison, George Barthorpe, George Mallinder, ? Hall, Reg Bagshawe, Albert Hopkinson, ? ?, William Milner, Rev. G Jenkins. Front row: Arthur Mallinder, George Childs, William Woods, William Lyonds, Mr Hall, ? Curzon.